July's Vanity Trove of only Kose products was a nice welcome as far as I am concerned. 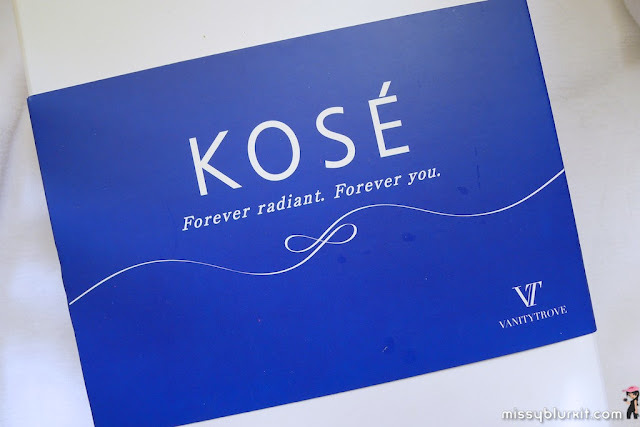 I have not used Kose for a few years and this was a good reason to check them out again. 'Forever radiant. Forever you.' I have more reasons to want to explore the entire box! 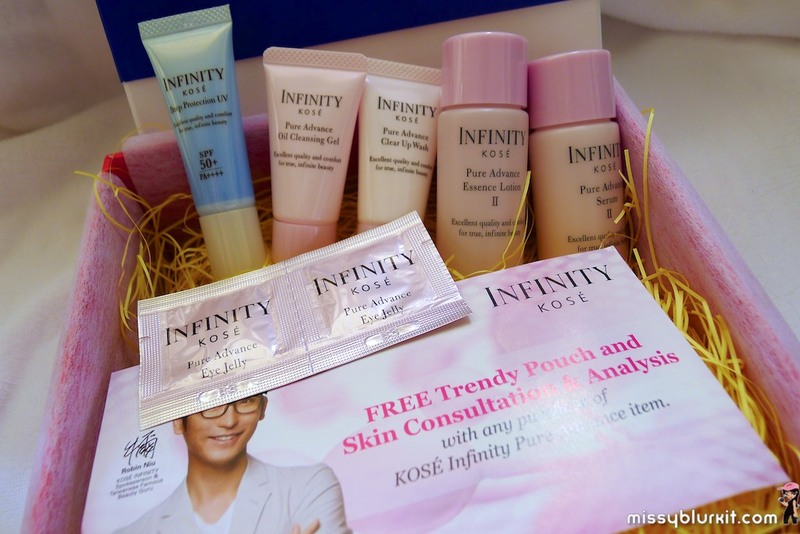 A whole goodie box of Kose Infinity products. This is good for a trial or test since we can see the efficacy of the whole range on our skin without being mixed with other brands. This probably doesn't look attractive initially. 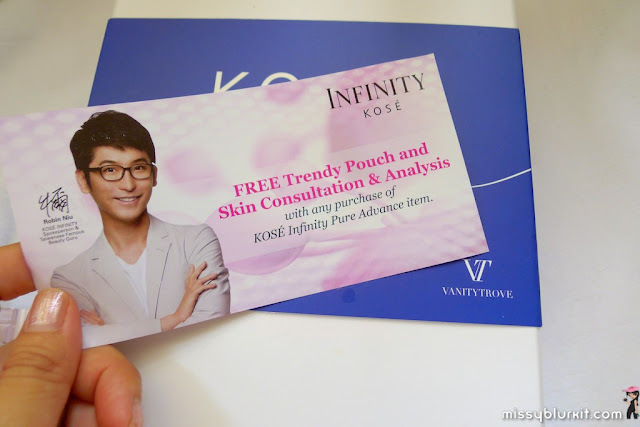 After all, it says "FREE trendy pouch, skin consultation and analysis only with any purchase of Kose Infinity Pure Advance item." However, upon experiencing the whole range and should you find something that suits your skin and you would like to buy, then yes...this voucher is going to be very handy. 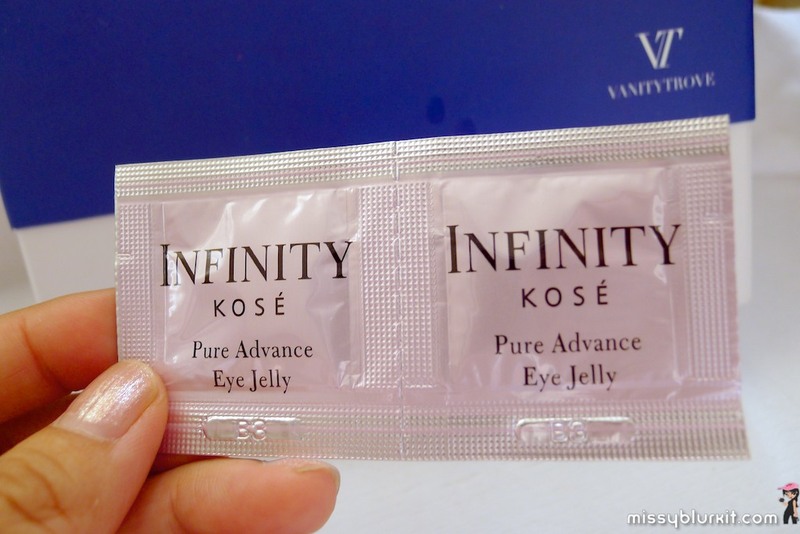 In my case, it was perfect as I used it when I purchased the Inifinity Pure Advance Eye Jelly. The Kose Infinity Pure Advance Eye Jelly (RM180 for 20g) is a delightful and refreshing eye care. Jelly form, its easily absorbed as soon as its applied leaving the eye area with an instant plumped up effect. Instantly the signs of aging e.g. fine lines are instantly 'erased'. I always believed in double cleansing. 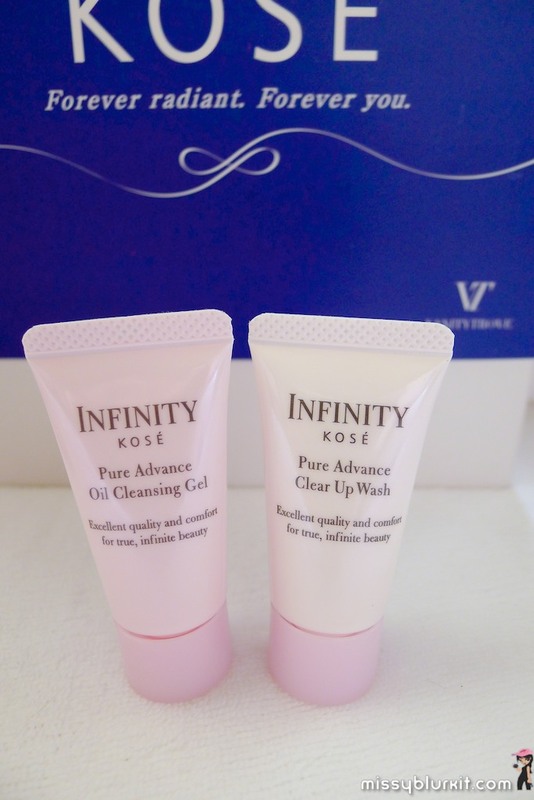 This well thought July Vanity Trove promotes double cleansing! So here we have 10g of Infinity Pure Advance Oil Cleansing Gel and 10g of Pure Advance Clear Up Wash. The Kose Infinity Pure Advance Oil Cleansing Gel is a unique gel that changes to oil when in contact with the skin. 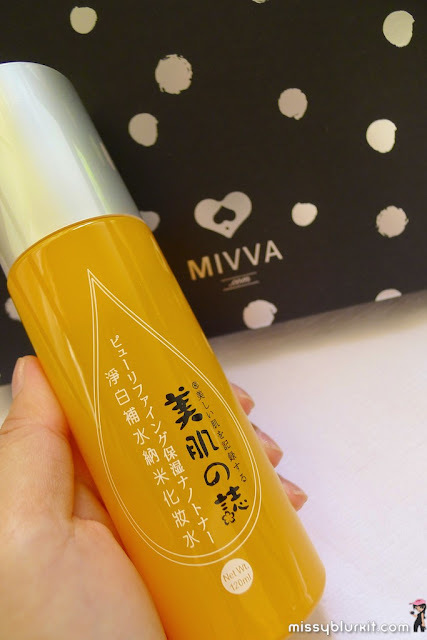 This cleanser rinses off easily and does a fairly good job of removing makeup and the day's grime fairly well. 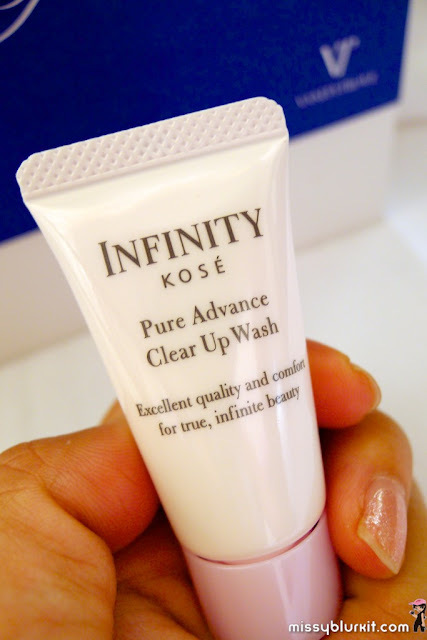 Step 2 is Infinity Pure Advance Clear Up Wash with a luxurious meringue like lather. Works to remove whatsoever that the oil cleansing gel failed to remove. Skin feels smooth and clean after use. 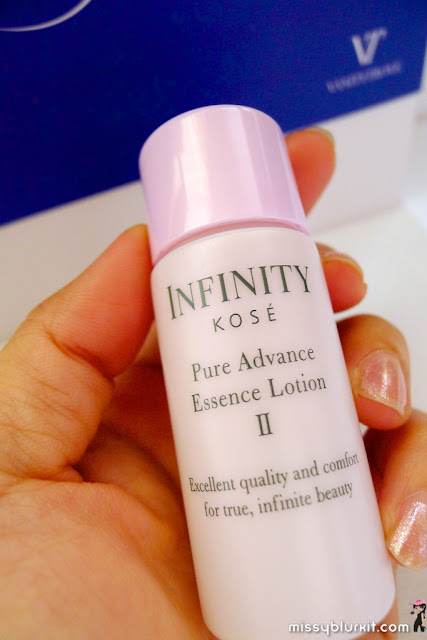 I prefer to use the Infinity Pure Advance Essence Lotion II (RM169 for 160ml) with my bare hand instead of the cotton pad. I pour approximately 20 sen size of the lotion and pat it gently all over my face and next. The lotion contains natural essences to help rejuvenate, hydrate and plump up the skin - most obvious on the third day of use. The 30ml sample that was in the July trove lasted me approximately 7 days. 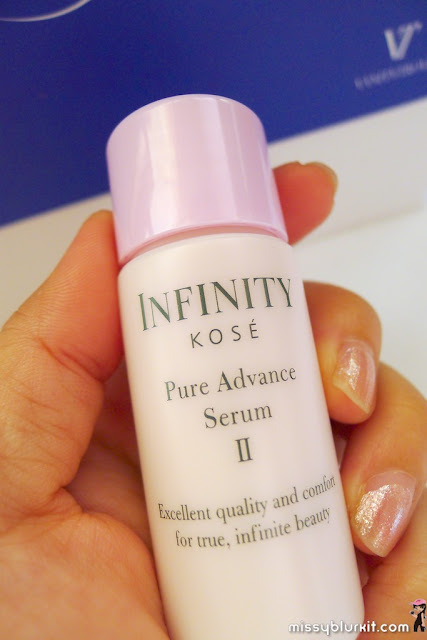 Infinity Pure Advance Serum II (RM169 for 120ml). The sample was 30ml and lasted me 9 days. This serum claims to adjust the balance of natural oils and water content of our skin leaving the skin soft, fluffy and poreless. 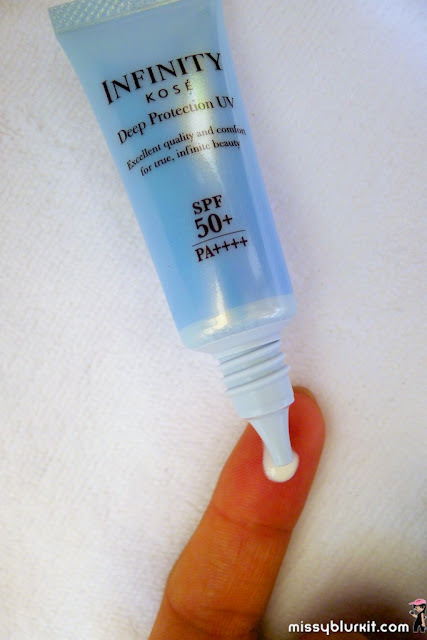 Perhaps my pores are quite large because I didn't seem to see the pores shrinking but again its only been 9 days of use...perhaps with longer use, the pore size will shrink. It certainly did leave the skin feel nice and hydrated without any greasy after feel. I am a firm believer of using sun protection. 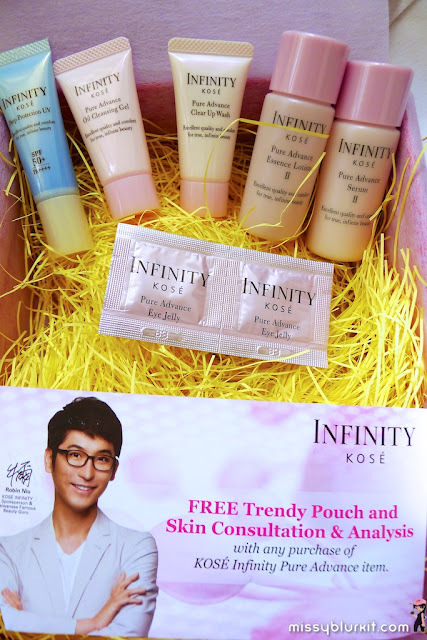 The Infinity Deep Protection UV with SPF50+/PA++++ (RM118 for 30g). I love the emulsion like texture that spreads over the skin easily. Giving a translucent appearance, it makes the application of makeup easier. July's Vanity Trove was indeed a pleasant one for me. While some complained that it was too Kose focused, I actually found it to be a plus point. Love the idea of being able to try almost a whole range of the product line while minimising the need to mix and match with our regular skincare range. To be honest, I was quite surprised that the items were mostly travel sizes making it a wonderful value for money purchase. While the future Vanity Trove seems to be a tad different because we'll be choosing 6 items that we want to receive each month. In other words, each trove will be customized according to your preference of products! 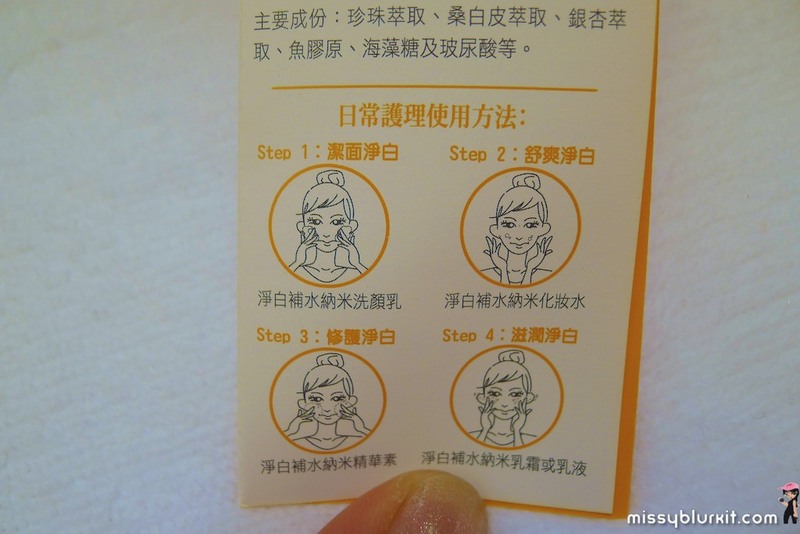 Based on the beauty profile that you have completed, there will be a list of recommended products that you can choose from. Take your pick of 6 items. And in case you don't find the sample that you want, then head on to the products page and add more items to your wish list. Check out the reviews by other users too! 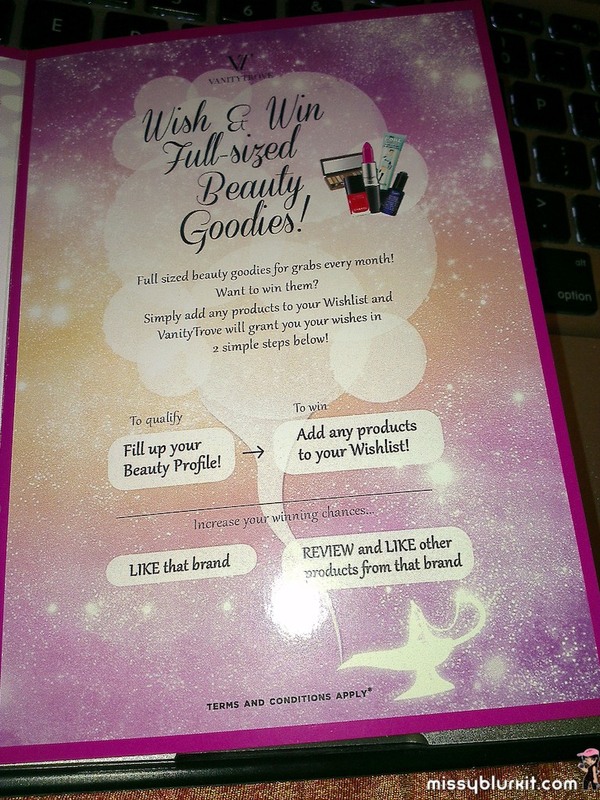 • review and like the other products from the brand that you wish for. 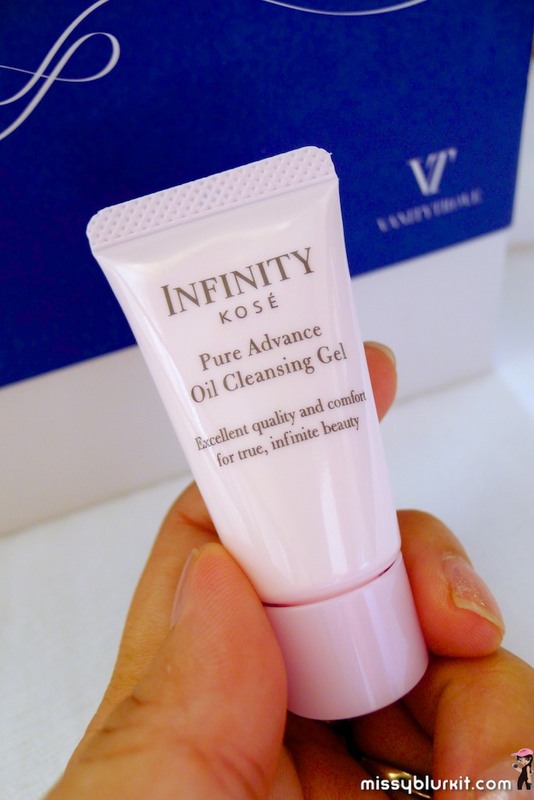 For more information on VanityTrove or even to purchase your very own Vanity Trove, head on to http://www.vanitytrove.com. Your personalised Vanity Trove subscription is RM50 per month. Love this post? Then head on over to my facebook page Missyblurkit to show some love. More pics from this post at July Vanity Trove. 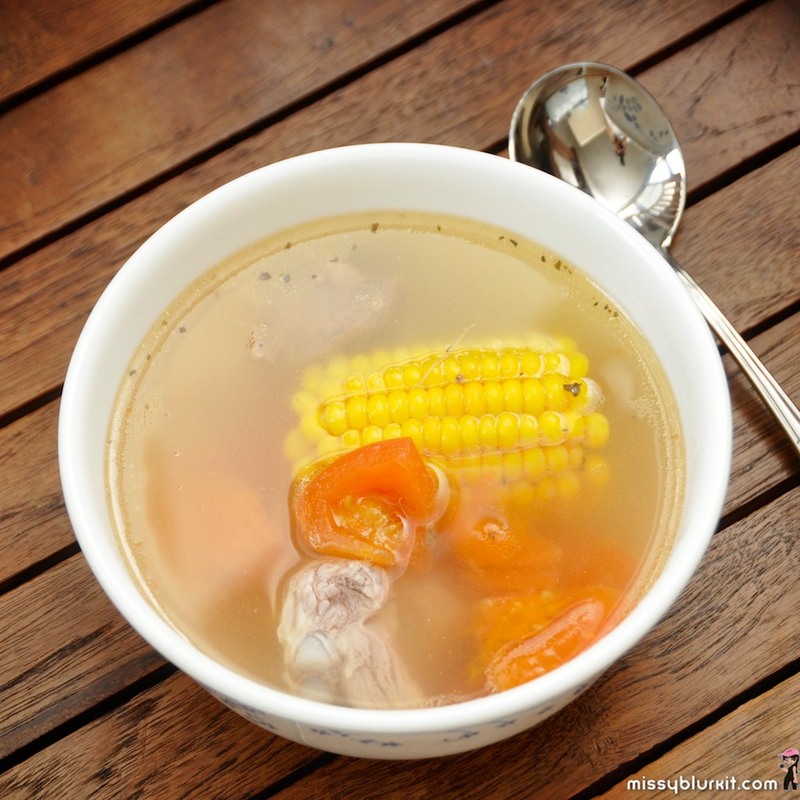 I love soups. 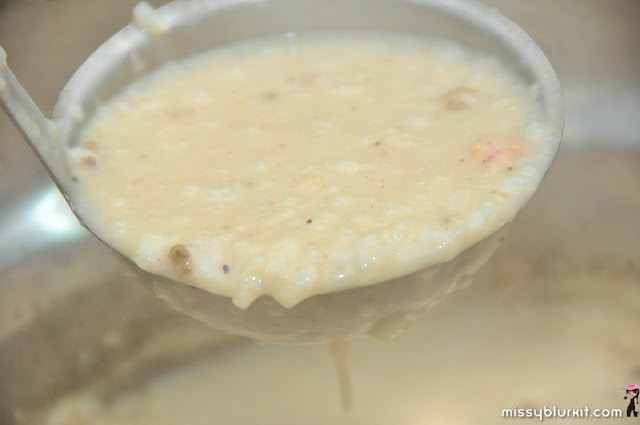 Any sort of soups though my fave is still the clear Chinese soups... after all I am Chinese and am half Cantonese. While some will say that with our working schedule, its almost imposisble to cook at home. Well while I agree to it to a certain extent, cooking a soup is certainly possible no matter how busy. 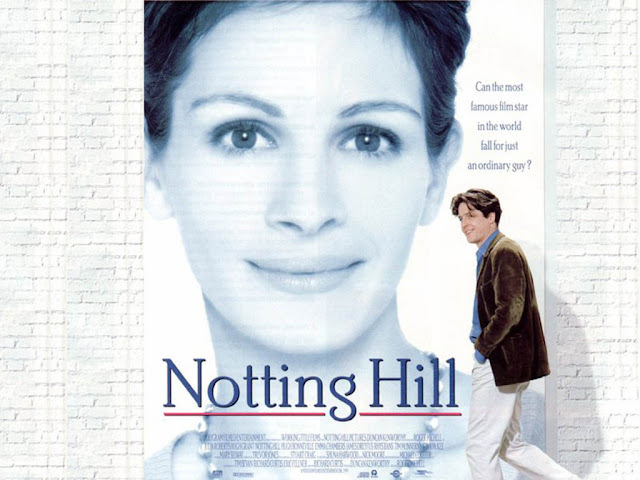 I think I watched Notting Hill more than 20 times...perhaps more... the story is charming and so is the soundtrack. 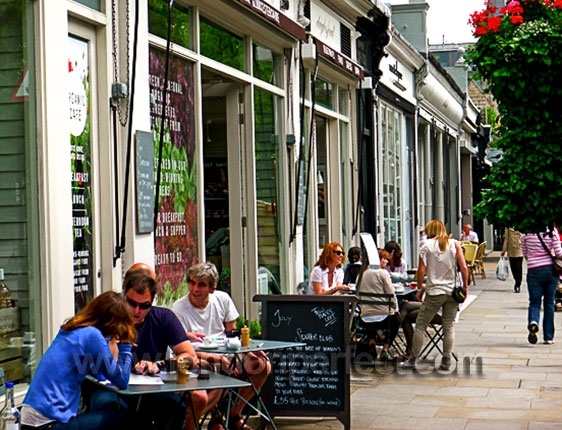 Beautiful and internationally famous American actress Anna Scott (Julia Roberts) meets British bookstore travel bookstore owner William Thacker (played by Hugh Grant) in the Notting Hill district in West London. Anna buys a book from William and a romance blooms but will she find love? 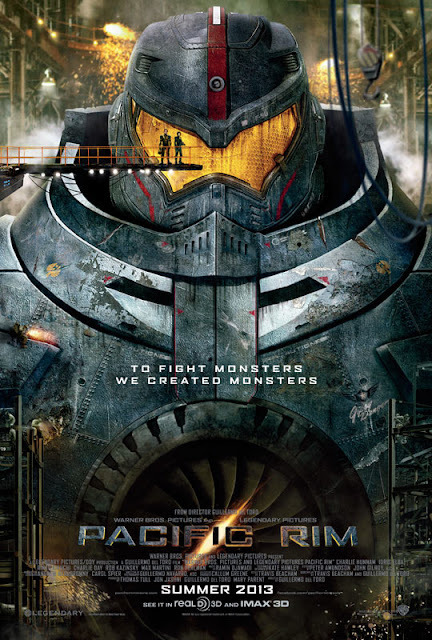 Most of you must have caught Pacific Rim by now or have yet to watch because of mixed reviews for this movie. Finally its movie day for the hubster and I. Our choice was Pacific Rim at Cathay Cineplex @ eCurve. A pretty polka dot box arrived on my table. It says Mivva box. 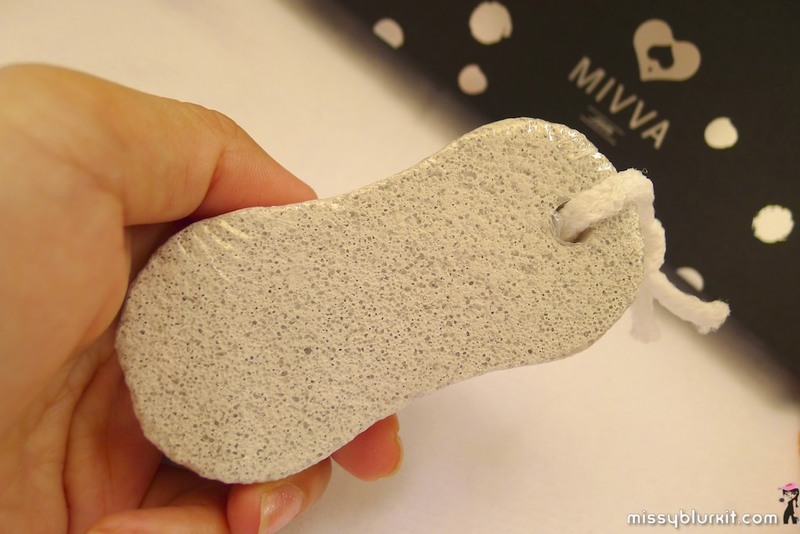 Yippee...my very first Mivva box. I must say that I happily unboxed it, feeling really excited to check out the contents after reading and hearing lots of raving reviews from the girlfriends. 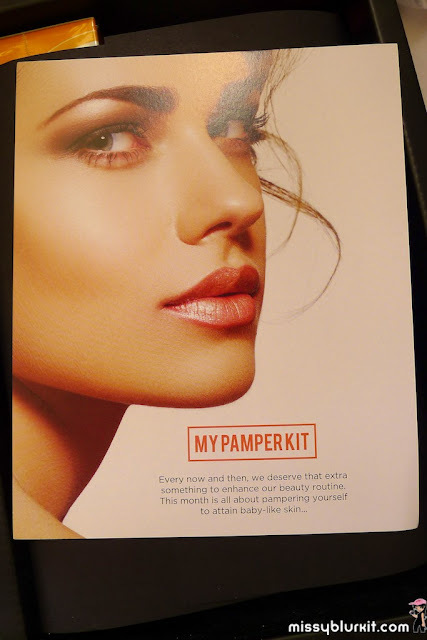 This month it says "My Pamper Kit". Nice welcome message! All girls love to be pampered and for RM38, its definitely an affordable pampering (on a monthly basis). Like the previous months, there are full sized items too that is certainly value for money! Unico Eye Lip Enriched Cream RM98.80 for 15ml. This is a full sized bottle. One pump and I can easily use it on both my eyes and lips. Its a light formulation that feels more like emulsion than cream with a lovely light flowery scent to it. Formulated to enhance the biological function of the lymphatic system and to strengthen cell metabolism so as to eliminate eye bags, dark eye circle, puffiness and fine lines. Used for a week and for me I noted that the lips were not so 'wrinkly' at the edges especially after prolonged time spent under the sun and has a nice rosiness to it. It certainly smoothened the eye lines as little like any other eye care product that i have. My favourite feature of this product is that it is one product that can be conveniently used for both the eyes and lips. Somang Danahan products came in trial size of 5ml each. I must admit that this is perhaps one of the products that I was looking forward to use having used the Somang Ecopure BB cream some time back. Both the Skin toner and elmulsion (RM139.90 each for a bottle of 160ml) are suited for dry and dehydrated skin. This herbal based products are blended following an Oriental formula which includes Chrysanthemum Indicum flower, Cyperus Rotundus root, Red Ginseng, Hoelen Alba, Angelica Gagas, White Peony roots, Chuanxiong and Gardenia seeds. A long list of ingredients that are believed to to improve blood circulation and enhance skin’s natural moisturizing functions. Pleasant floral scent that can be a tad strong for some people but the combined use of the toner and emulsion is lovely luxurious experience. 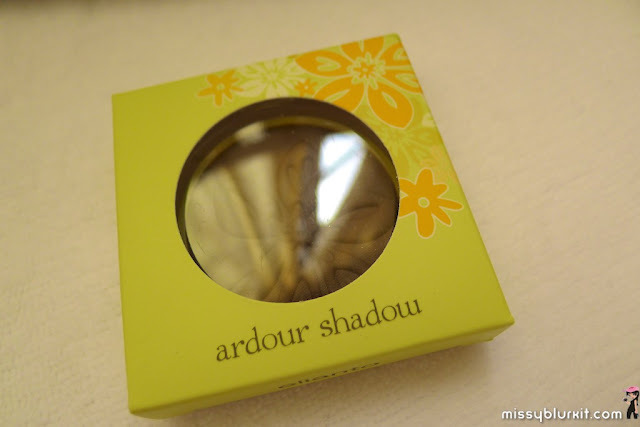 Elianto Ardour Shadow RM8 for 2g. This is also another full size product. I received Earth Brown #12 which is perfect since I don't really use any colour other than earth tones. 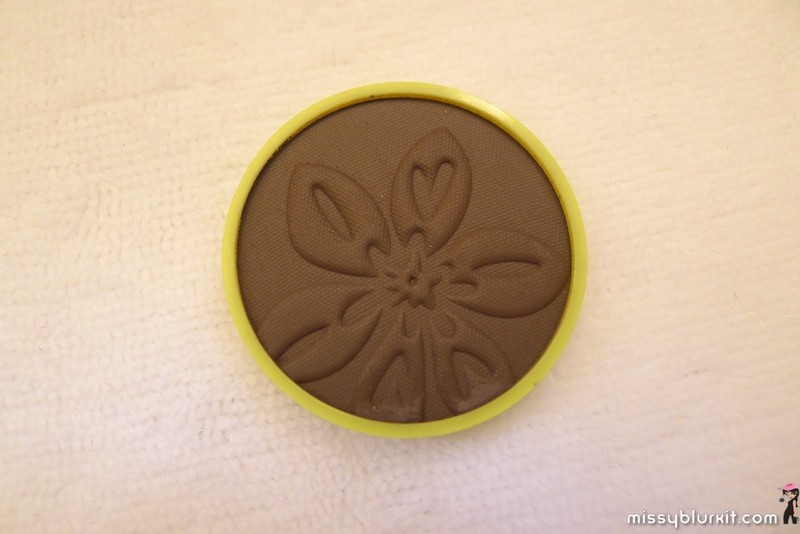 This matte eye shadow glides easily on eye. My regular all time must have product is Re-Gen Oil (RM29.90 for 75ml or RM45.90 for 125ml). The 3 sachets comes in handy for weekend getaways. This light oil contains an active ingredient PCL liquid which promotes skin regeneration. Further enriched with lavender, canlendula, chamomile and rosemary oils, Re-Gen oil is rich in Vitamin A and E to help fight skin ageing. 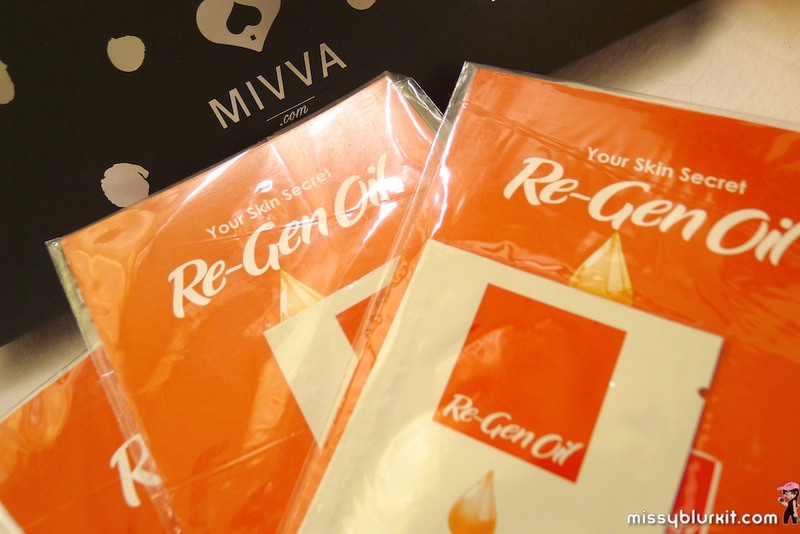 Re-Gen oil is is highly recommended for blemished skin, stretch marks and scar tissues. Beautymate Purifying and Hydrating Nano Toner RM49.90 for 120ml is another full size product this month. Contains gingko biloba leaf extract, hydrolyzed pearl and glycoproteins which to improve skin hydration, brightens skin and balances skin pH. The packaging comes with instructions for a 4 step application technique to enhance the efficacy of Beautymate Purifying and Hydrating Nano Toner. 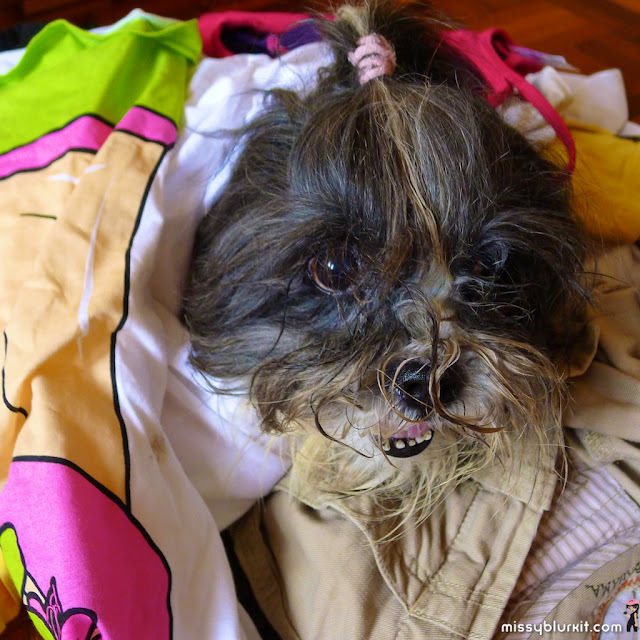 My name is Shalom and I am a 10 year old shihtzu. Let me tell you about laundry time in our house. 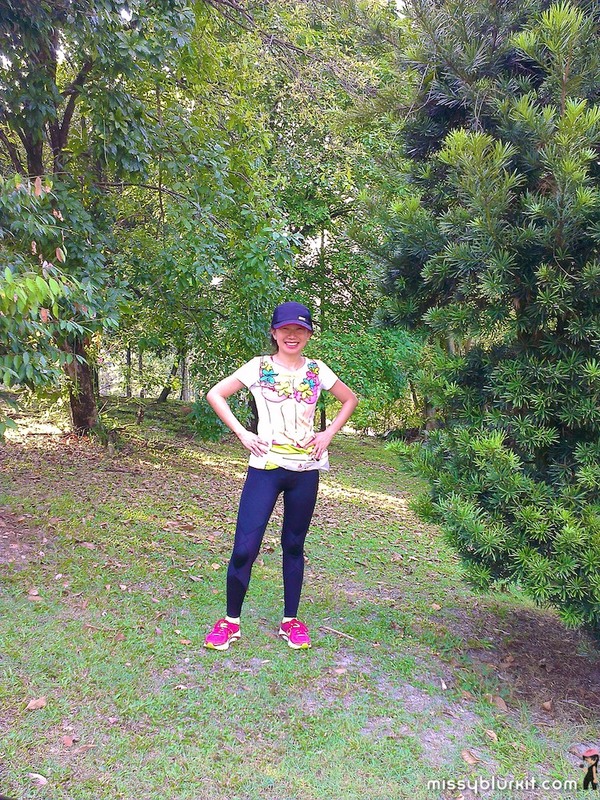 Mummy loves to exercise and running is probably her favourite because she runs so often. 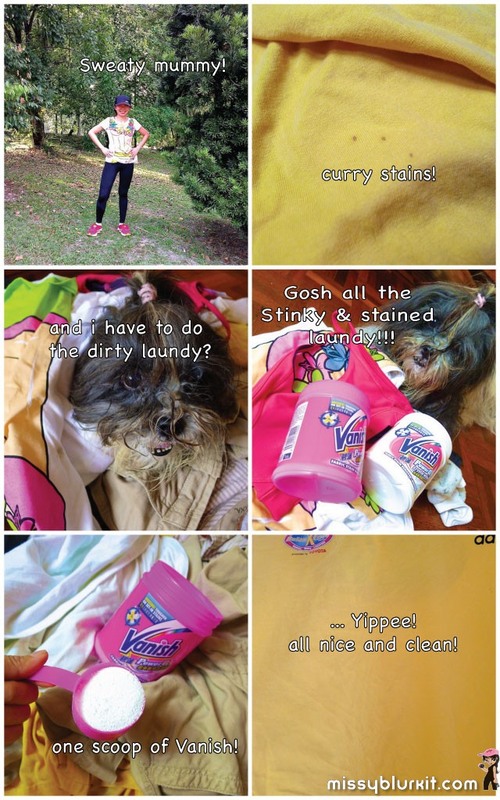 But she often comes back after her run with mud stains and sweat smell on her clothes! Daddy loves to eat as much as mummy and he is one messy eater who often leave stains on his clothes. 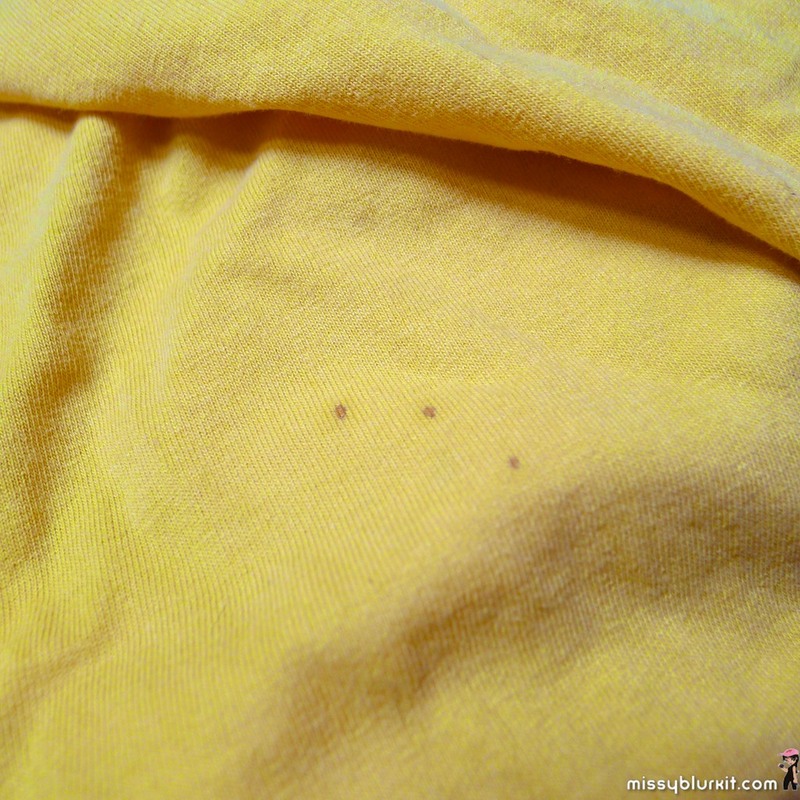 This one is curry stains. Gosh! And because I am at home all day while mummy and daddy go to work, I am expected to do the laundry at home! Yes I am the maid at home! 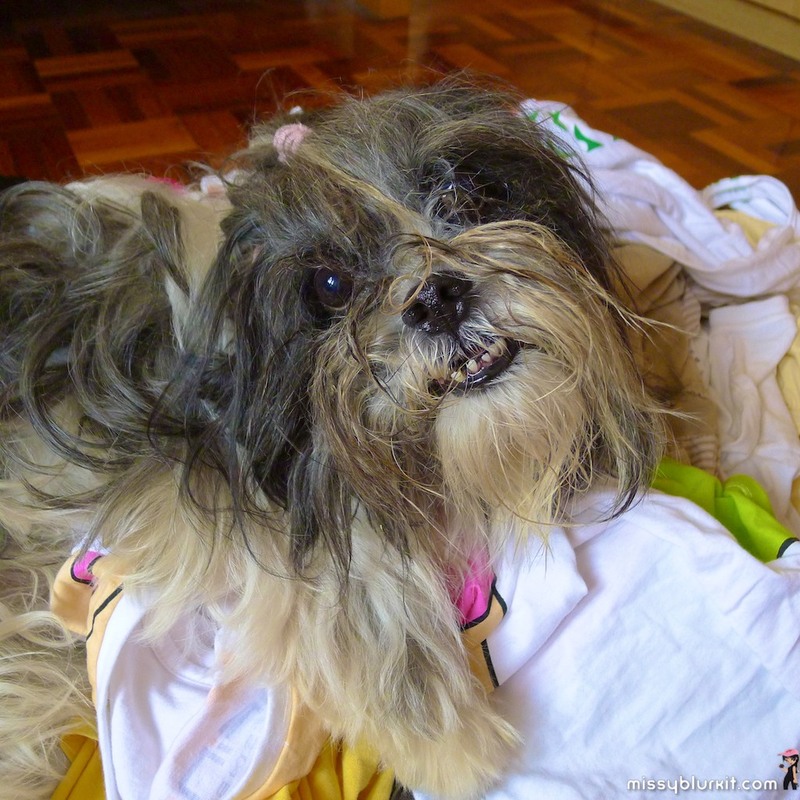 You must agree that I am a good furkid to help with laundry! Good thing mummy has been buying Vanish Power O2 for our laundry use. 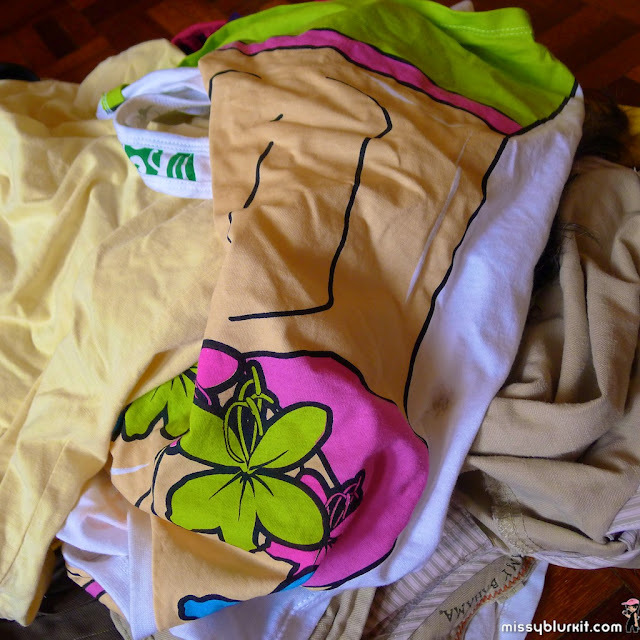 I can choose the pink for our general use or the white one for white clothings. I can read instructions! 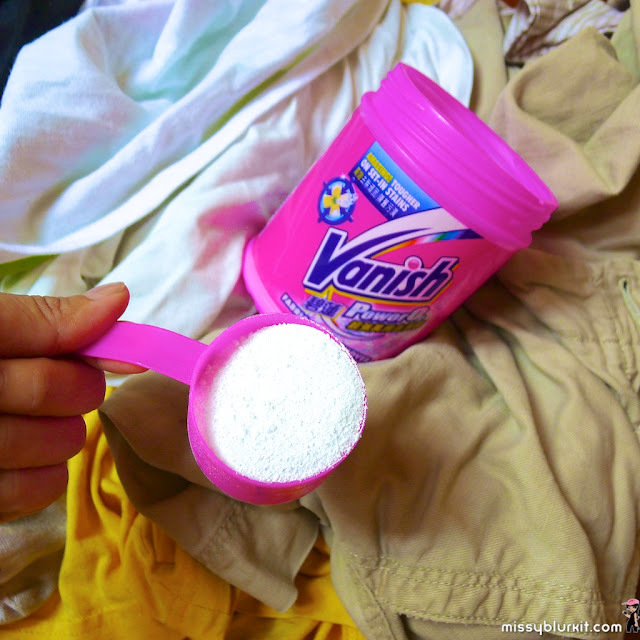 I add 1 scoop of Vanish to stubborn stains if necessary. Otherwise its just 1 scoop is necessary for the usual food and stinky sweaty clothes! And magic! 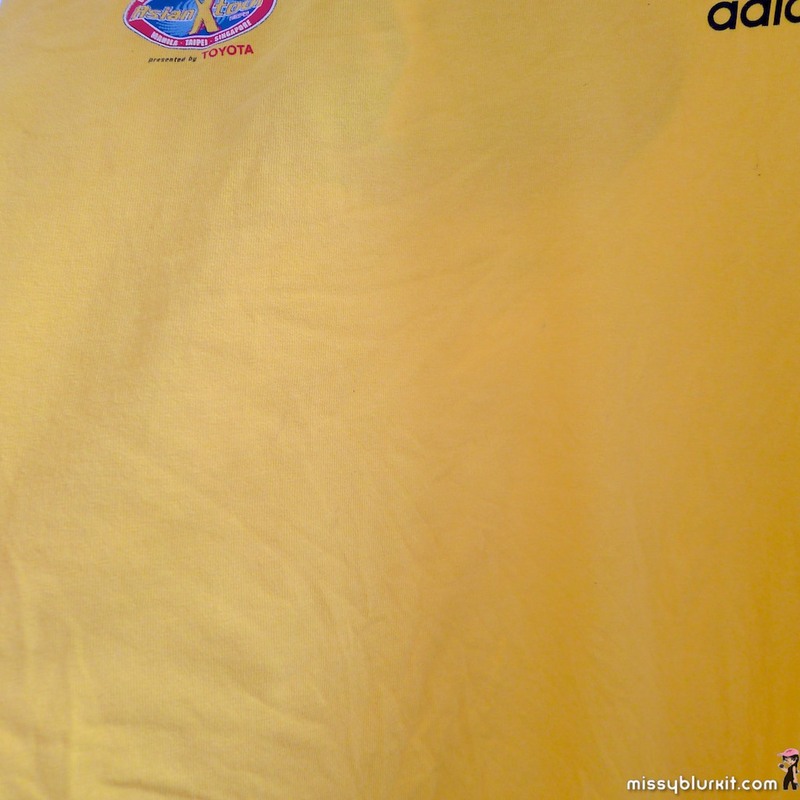 We have clean clothes without any stains on them. And all sweat smells are gone too! 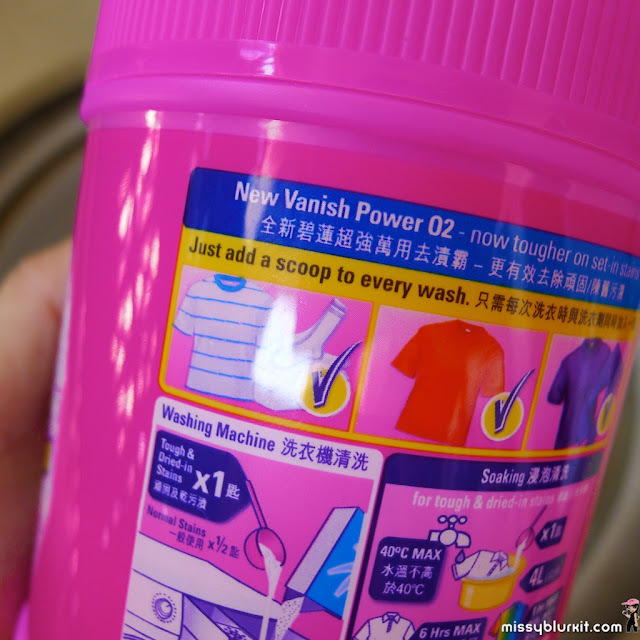 And if you have laundry woes like we do...then you should give Vanish Power O2 a try. Don;t worry about buying them if you have not tried it before. 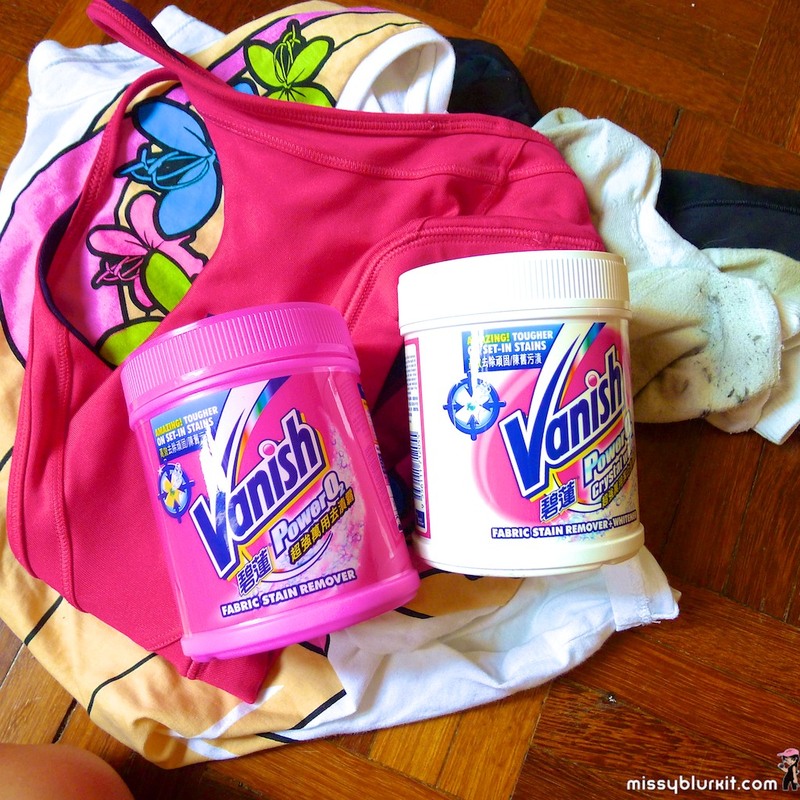 Pop by to http://bit.ly/1aIkd2I and register to have FREE samples of Vanish Power 02 delivered to your door step! There is also a contest going on now that you can take part like I did. Of course I took part using mummy's name:D Do vote for my our entry if you see it OK? Hopefully we get enough votes so we can win some fantabulous prizes that include 3 units of 32" LED TVs, washing machines, fridges and Vanish products! Nestled in the middle of KL is a quaint and cozy Malay restaurant. My regular haunt for Malay food during lunch in general for their affordable set lunches. 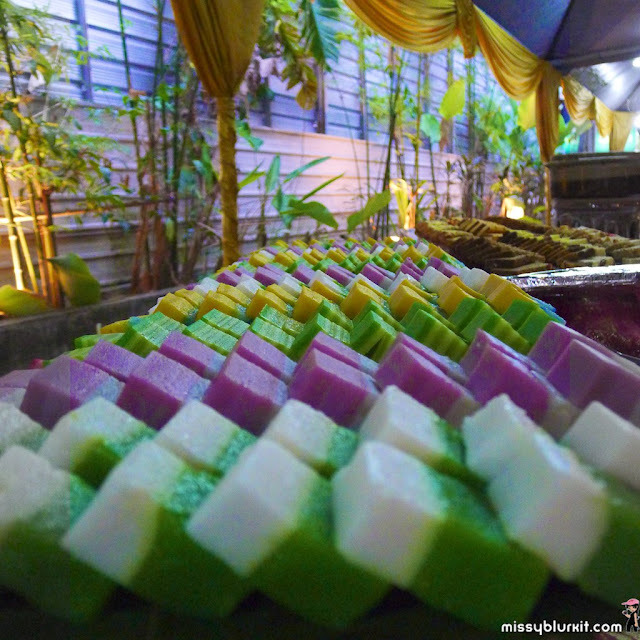 Now its Ramadhan, its only natural to also visit Songket for my buka puasa. Its a nice 15 minutes walk from KLCC area if you fancy walking and ample parking space if you prefer to drive. The selection of food isn't too large but its just nice. 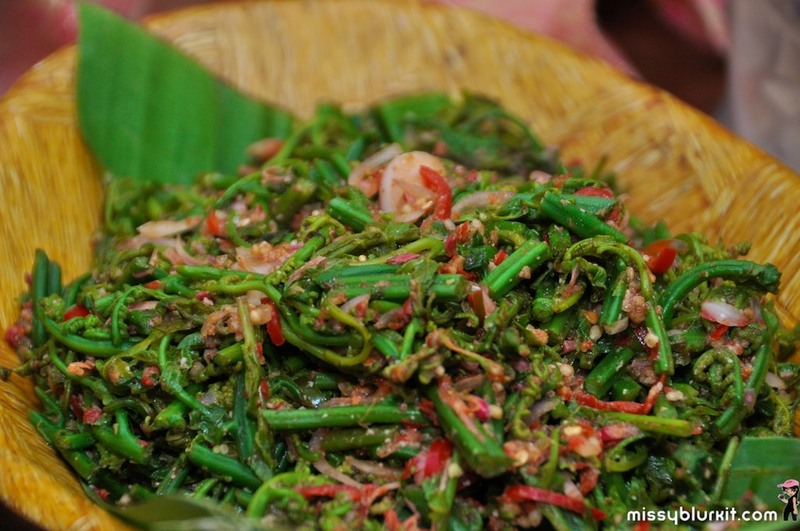 With a daily rotating menu, you wont be bored of the same food with each visit to Songket. 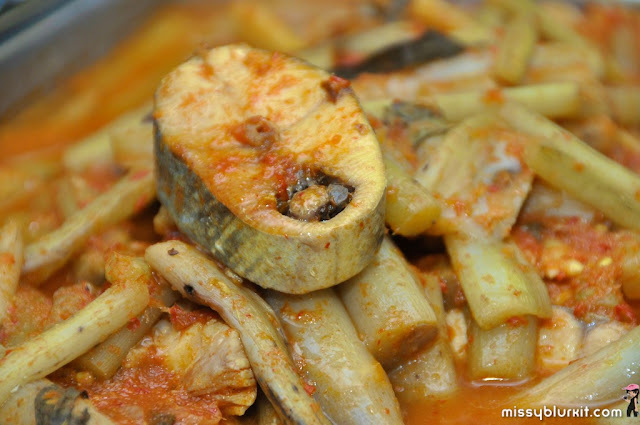 Arrangement of food is a well thought. There is no walking all over the place. One can just walk and follow the line and sections. 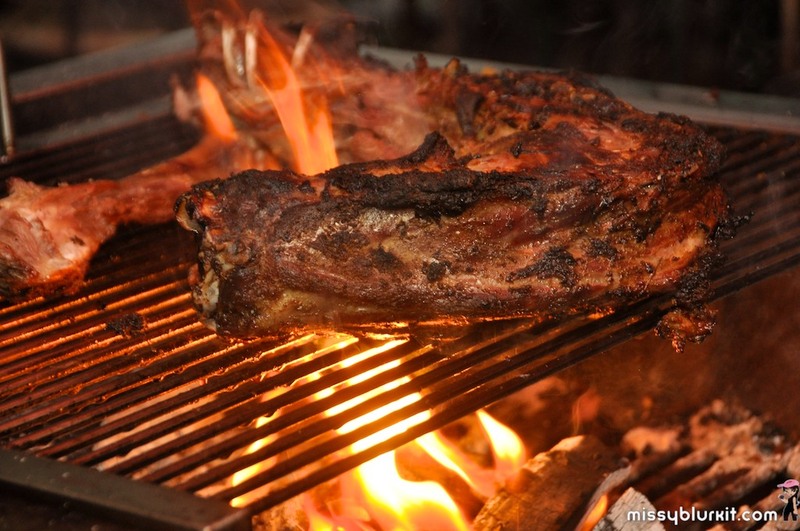 We start off with the roast lamb (one of the best in town...I will still sat it again and again), satay, grilled fish. Then you can have your choice of noodles, fried or soupy versions. 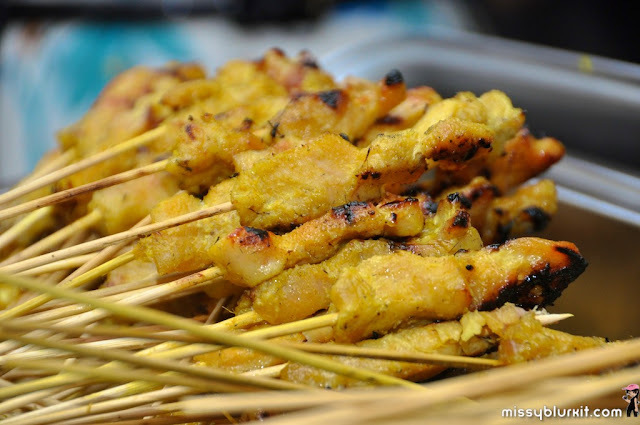 If mee rebus is on the menu, then make sure you check it out. Good stuff! The assortment of ulam, kerabu and light appetizers form quite a bit of the buffet line. My all time faves (which is coincidentally their best sellers from their ala carte menu) are the kerabu mangga and kerabu pucuk paku). Take your pick of the appetizers like the must have tauhu sumbat and pegedil. I know they are delicious but please go easy and leave space for the main! 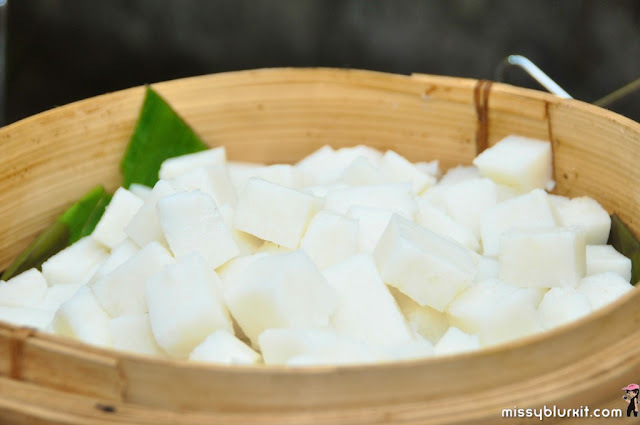 Lemang and ketupat will be the usual suspects at all Ramadhan buffet line. And so will roti jala. 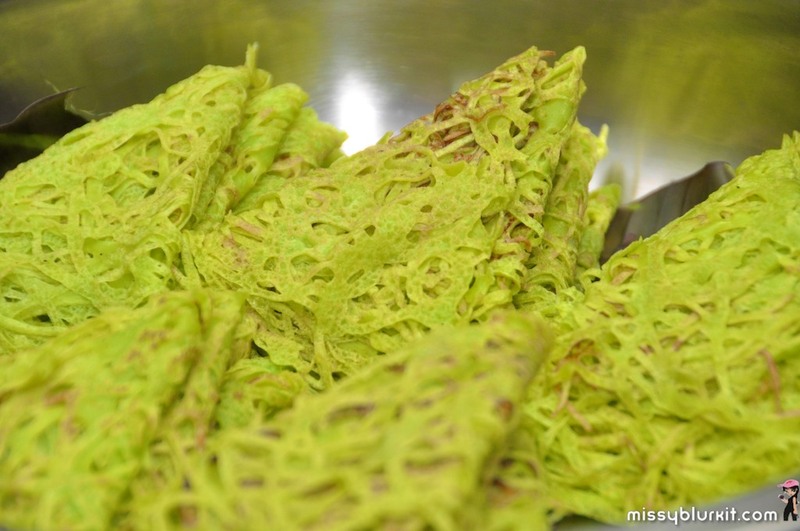 However, the roti jala at Songket is green! Yes! Green from the use of pandan (screwpine) juice. 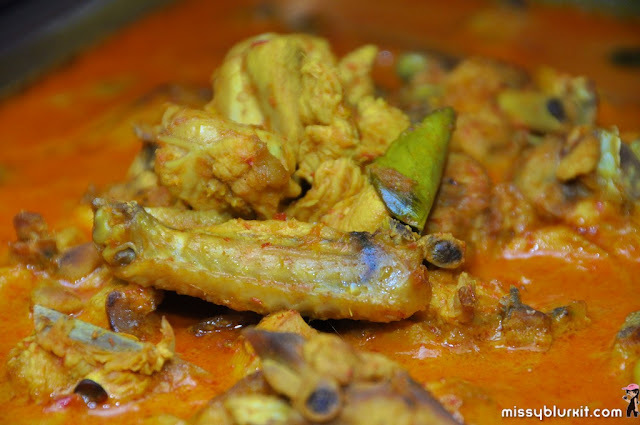 A must have with the chicken curry! Together with the ketupat line up is a smart arrangement of sayur lodeh, kuah kacang and sambal. If your read this blog often enough, then you will know that I will not resist piecing together a famous Johor dish lontong. Yes! That's the very first dish that I pieced together (my fruits don't count as I normally break fast with fruits before any mains). 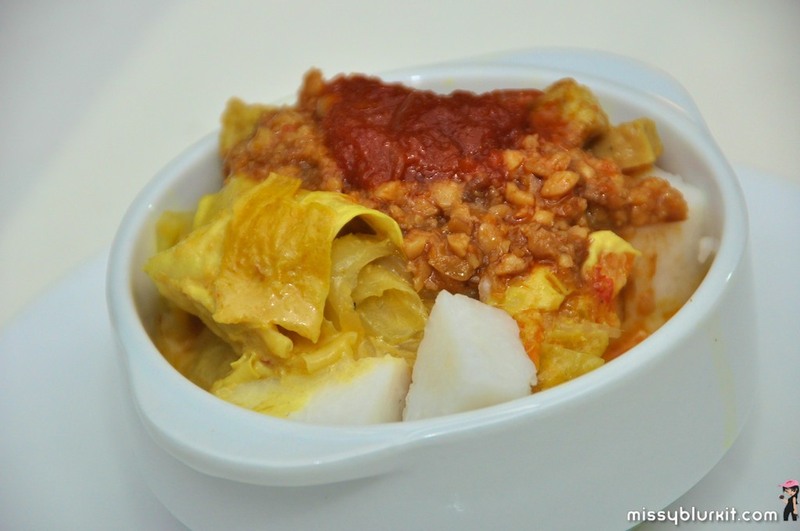 Took a bowl, filled it with ketupat, sayur lodeh, kuah kacang and topped it with sambal. Trust me it looked so good that even buddy Farish could not resist and quickly assembled a similar bowl. Taste is definitely good. My dining companions took a bite and made their own bowl of lontong too! 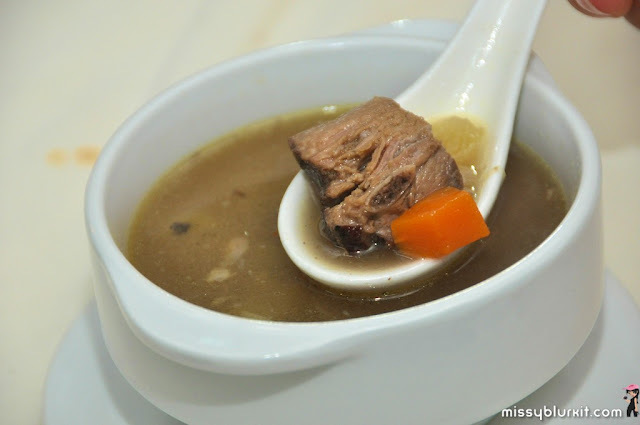 The mains are basically dishes from Songket's existing ala carte menu. 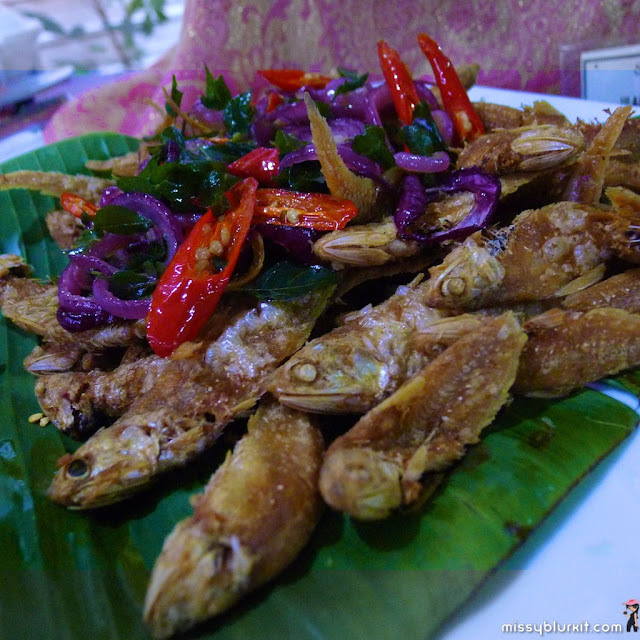 On the night that we broke fast at Songket, we had enjoyed very kampung like dishes including udang peria, ayam lemak masak gelugur, beef rendang, daging masak halia, ikan rebus assam keladi, sambal ikan bawal, udang mentega berkuah, ayam rempah tumis, sotong sambal kunyit, ketam masak lemak buncis, labu air goreng and vegetable stir fry. A good long list eh? 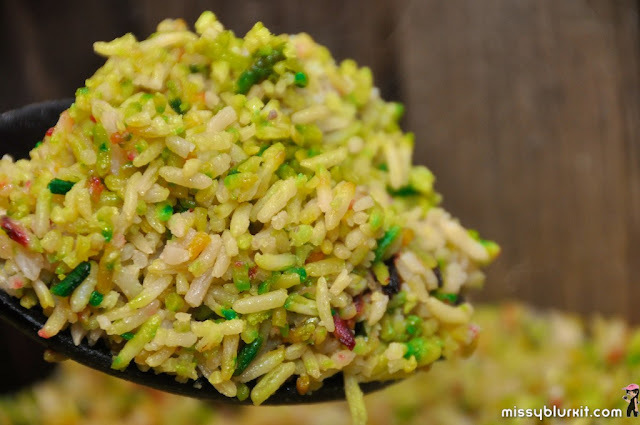 Have it with a big plate (or two) of steaming white rice. I opted for the Nasi Hujan Panas. 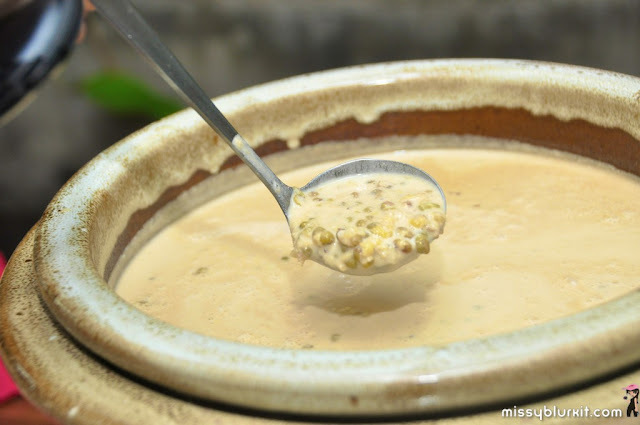 Bubur lambuk is available daily while the soup menu changes daily and includes sup tulang rusuk, sup ayam kampung, sup daging, sup kambing and sup pindang. Desserts are a must with every meal. 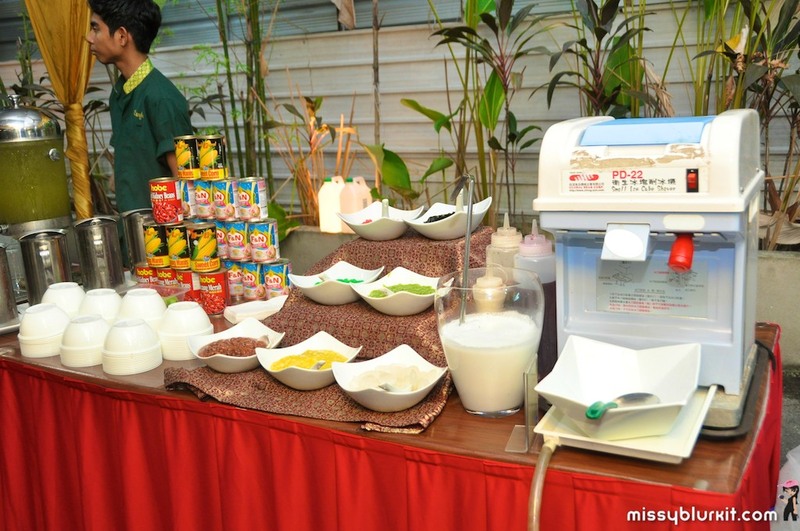 Local kuih, cakes, ais kacang, fruits and home made ice cream awaits. Wash it down with some teh tarik or coffee to avoid a food coma. Though my fave reasons for visiting Songket at night for dinner is because of the cultural dances. Don't be shy! Kick off your shoes and dance! Its seriously fun! Juicy tender grilled lamb good to be eaten on its own. 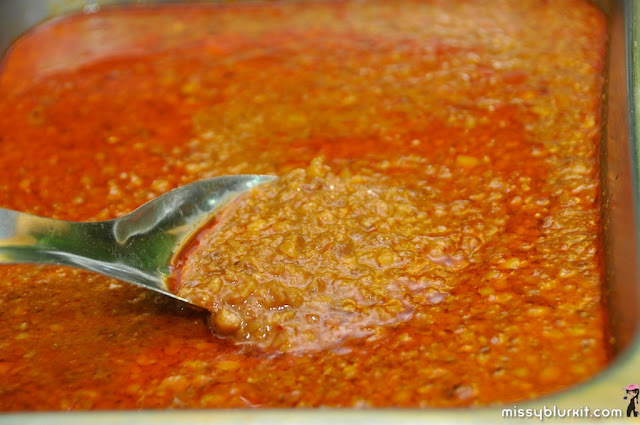 Mee kari or mee rebus? have them both though my fave has always been the mee rebus. 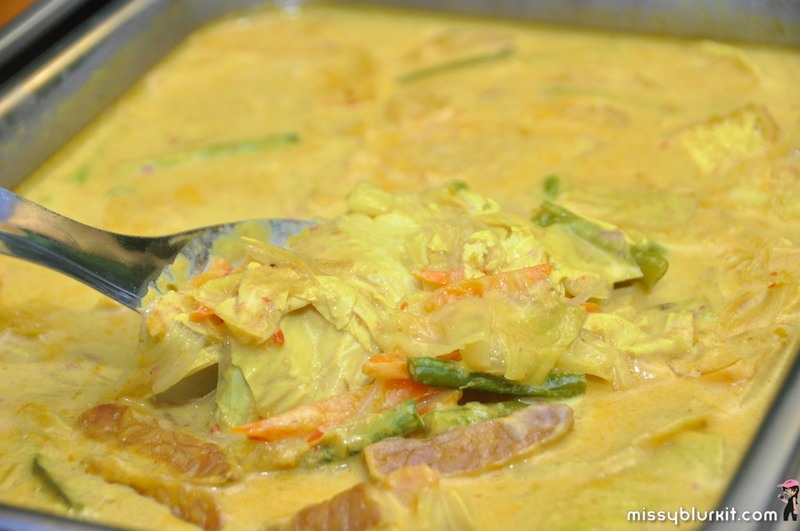 and...you have a bowl of awesome lontong! 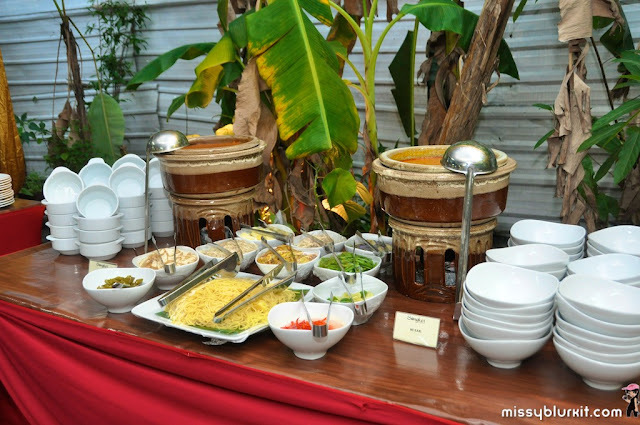 Songket’s buffet items are rotated daily from five different menus. 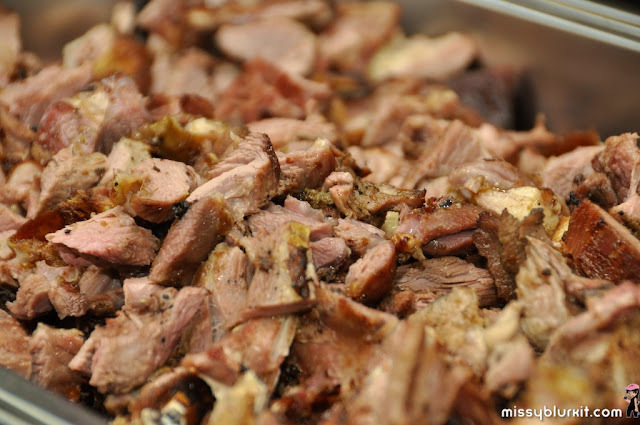 Buffet is between 6.00 p.m. - 11p.m. 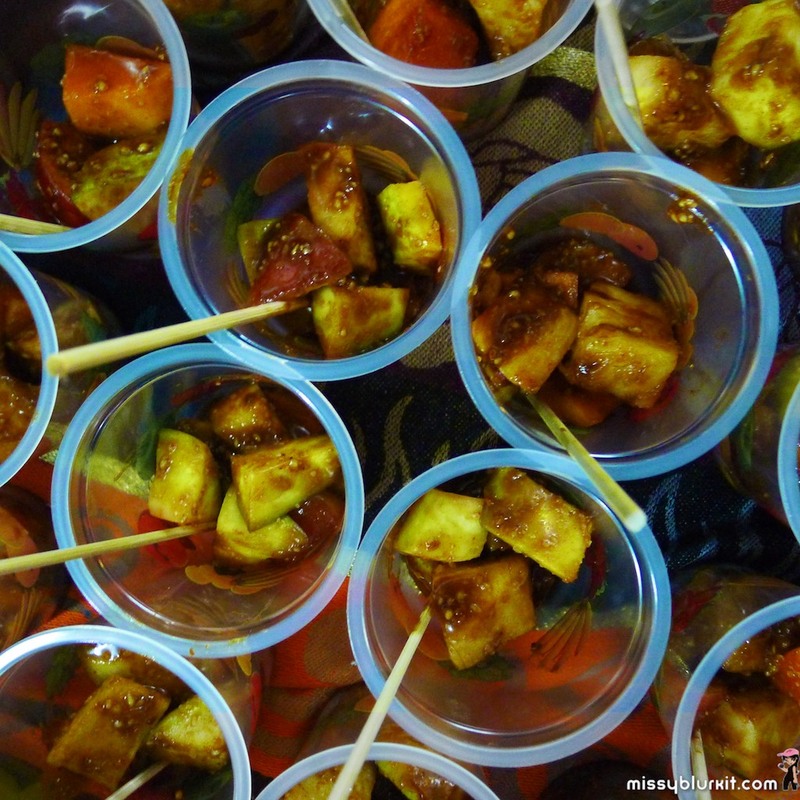 daily @ RM75++ for adult and RM35++ for children between 3 and 12 years old. Kids below 3 years old eat for free.